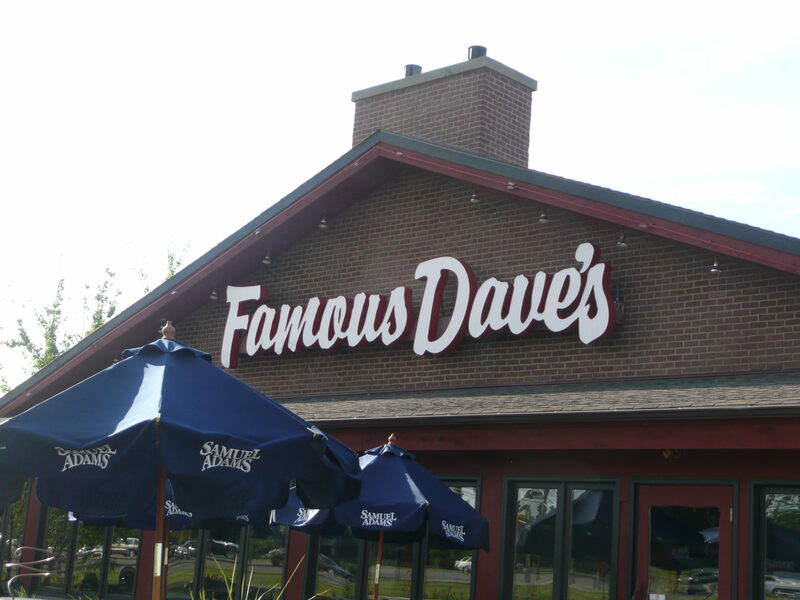 Famous Dave’s is a restaurant that has lots of barbecued food. The portions are large. 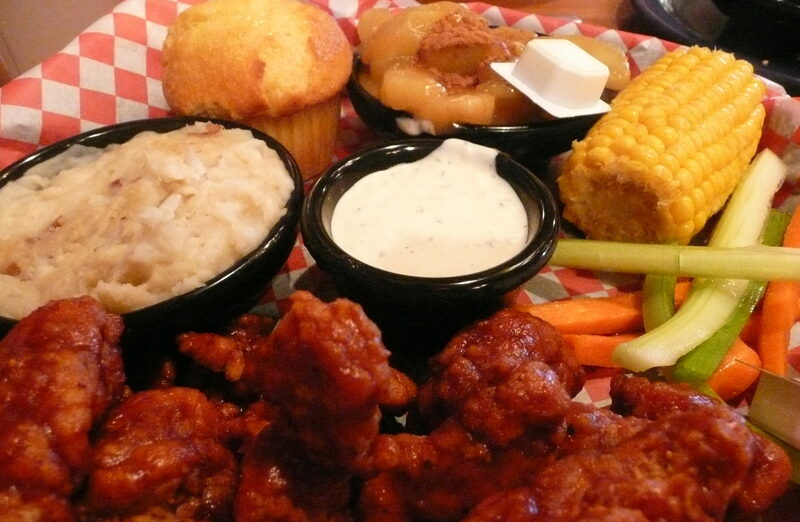 I ordered the boneless barbecue chicken wings and it came with mashed potatoes, corn bread, an apple compote and veggies. There were too many chicken wings and we had enough leftovers to have 2 snacks later in the week. 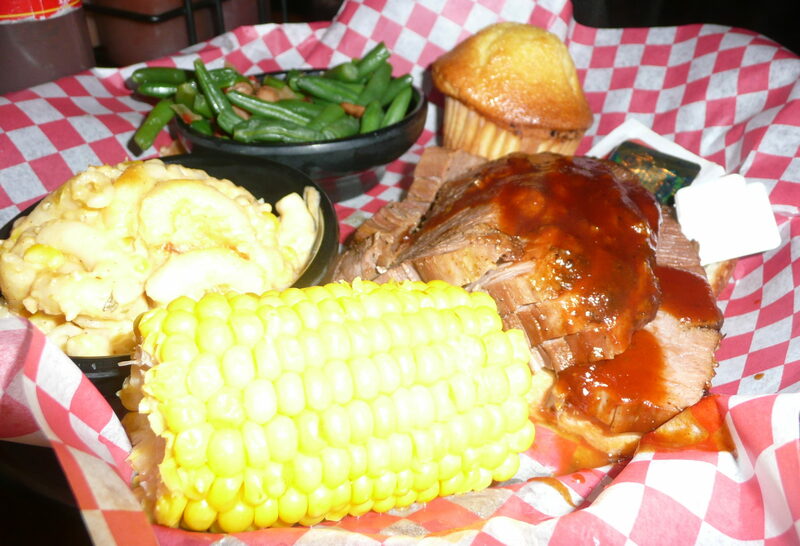 The corn bread was absolutely delicious. There also are a few barbecue spices to choose from. 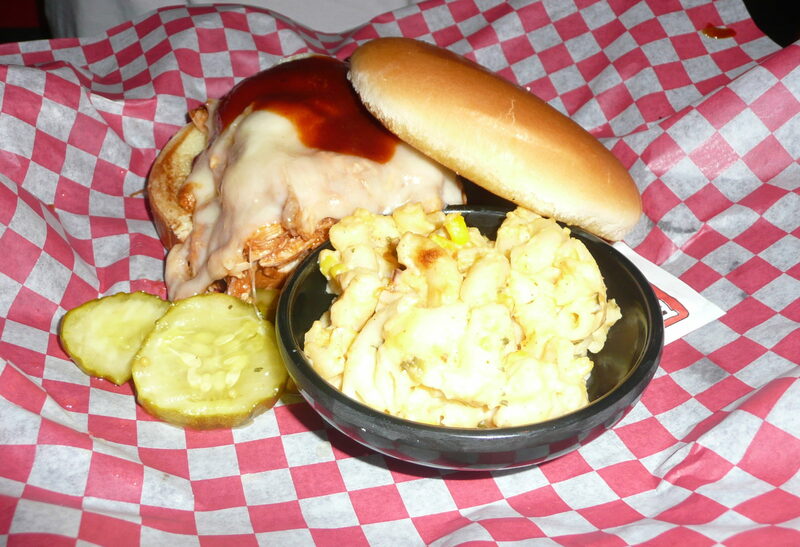 The other two entrees at our table were the Briskets and a Barbecued Chicken Sandwich. 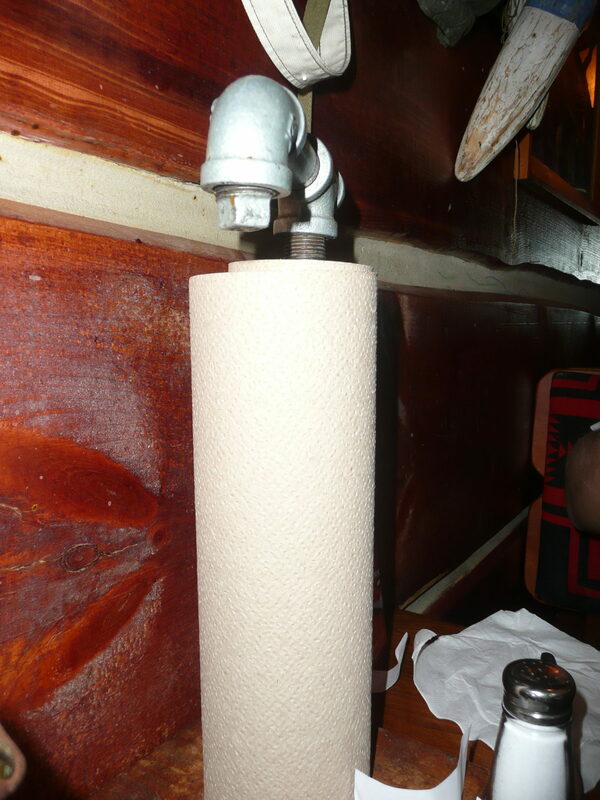 The “extra” napkins at the table are on a “faucet-like” holder. Quaint.